Buy properties in Malta - an interesting and practical option! 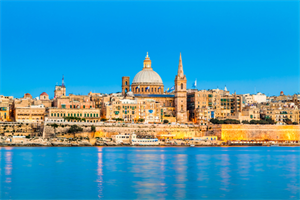 Malta has a beautiful Mediterranean climate, peaceful environment, high standard of living and excellent conditions for permanent residence and education of children. The only institution of higher education is located in the capital - the city of Valletta, so it is advisable to settle there if you have children. The country has practically a zero crime rate, which is also important. Almost all properties in Malta can be called a resort, because the country is so small that even at a distance from the coast accommodation will be like in the coastal zone. Buy property in Malta - an interesting idea! These is prestige and secure future, and the ability to obtain a Schengen visa. The most reasonable prices for real estate in the country - standard flats, which, in general, are not so much in Malta. Buying real estate in apartment complexes is convenient in that they are fully finished, furnished and ready to move in. This can be a property from the owner, or the builder. Pricing depends on several factors - proximity to the coast and year of construction. In such a successful state, of course, property value is difficult to call cheap, but by the standards of Europe - they are quite loyal. And given the profitability of such an acquisition, it is worth the cost. Residential real estate in the country is very interesting with regard to houses. This is a special property, not like one another, both outside and in the interior layout. Your imagination will not be limited by anything when choosing a property - you can even find something similar to medieval castles. Pools and fireplace halls - quite ordinary attributes. Detached luxury houses - a basic offer on the market of real estate in Malta. You cannot doubt the quality - nobody will offer you an old house that needs repairs. Foreigners can buy any kind of property in Malta, only buyers from countries, which are not members of the EU need to obtain permission of the Ministry of Finance of Malta. There is also a minimum threshold value of the objects. On top of all – you need a bank account in the Maltese bank with available sum, necessary for the purchase. All other nuances in registration will not be difficult with the help of experts.